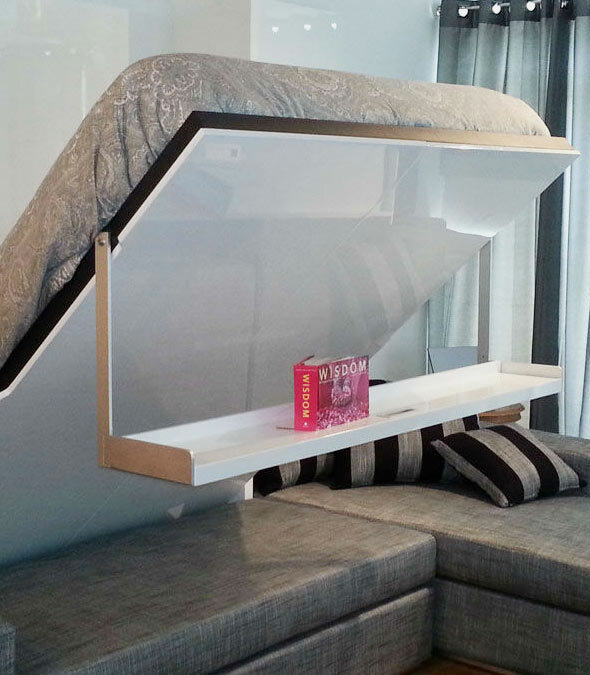 Love seat sofa wall bed with floating shelf and side shelving. 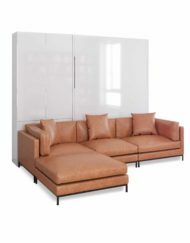 A beautiful center piece in any home, that is sure to impress. 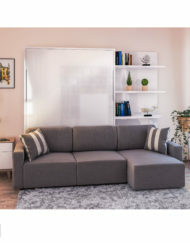 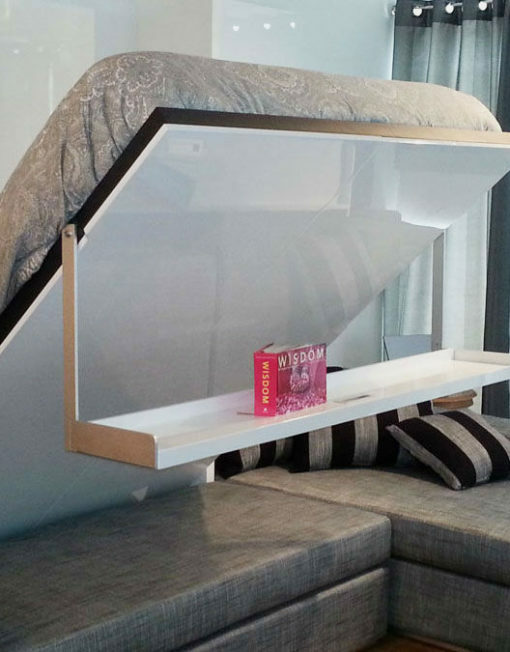 The floating bookshelf helps hide the love seat wall bed, and the floating shelf remains horizontal when lowering the the bed or putting it away so you do not have to remove any books, plants, photos etc. 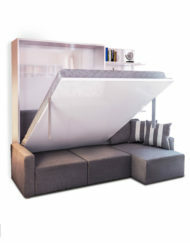 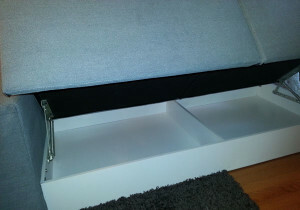 Wall bed folds over the couch which does not need to be moved, couch has built in storage function for extra space saving. 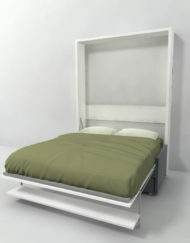 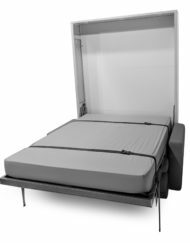 Smart gas mechanism makes the transition from lounge to bedroom effortless, the mechanism will hold the bed in place at any level in the air, lift the bed with just a finger. 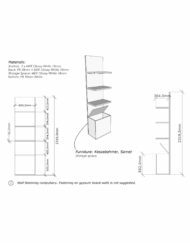 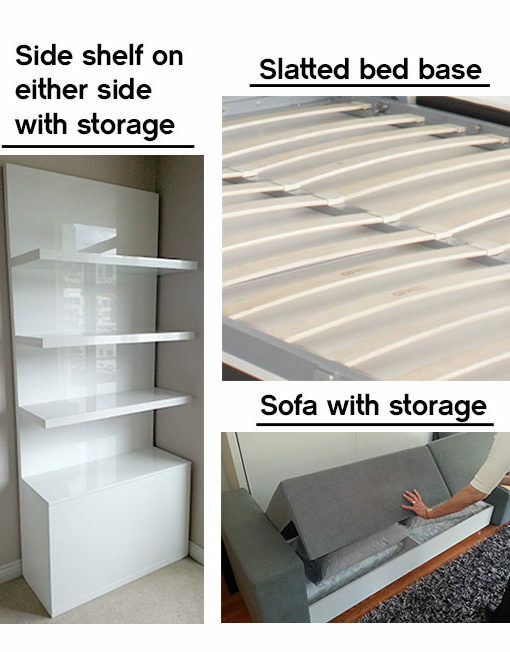 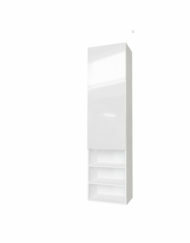 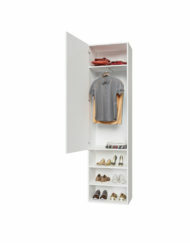 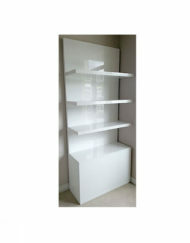 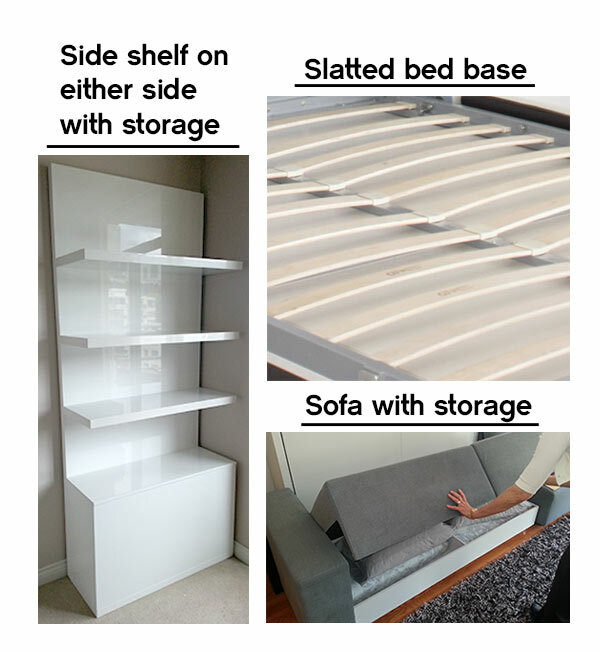 Comes with 60cm side shelving available for either side, with storage function box and three shelves. 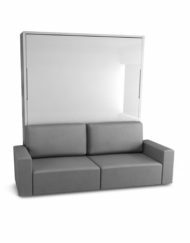 Looking for something a little more compact? 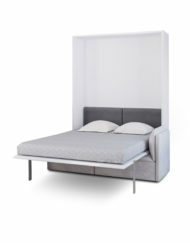 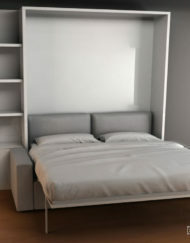 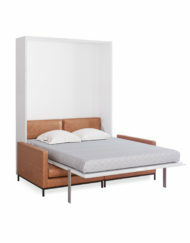 Have a look at the Italian Float Wall Bed Sofa. 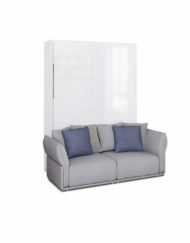 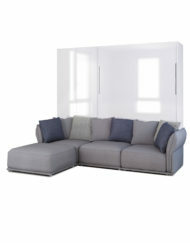 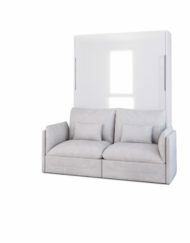 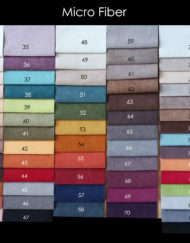 We also carry custom sectional wall bed couches. 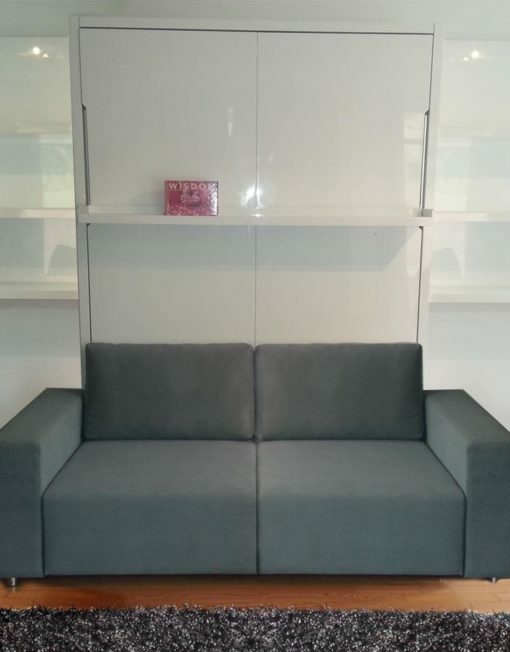 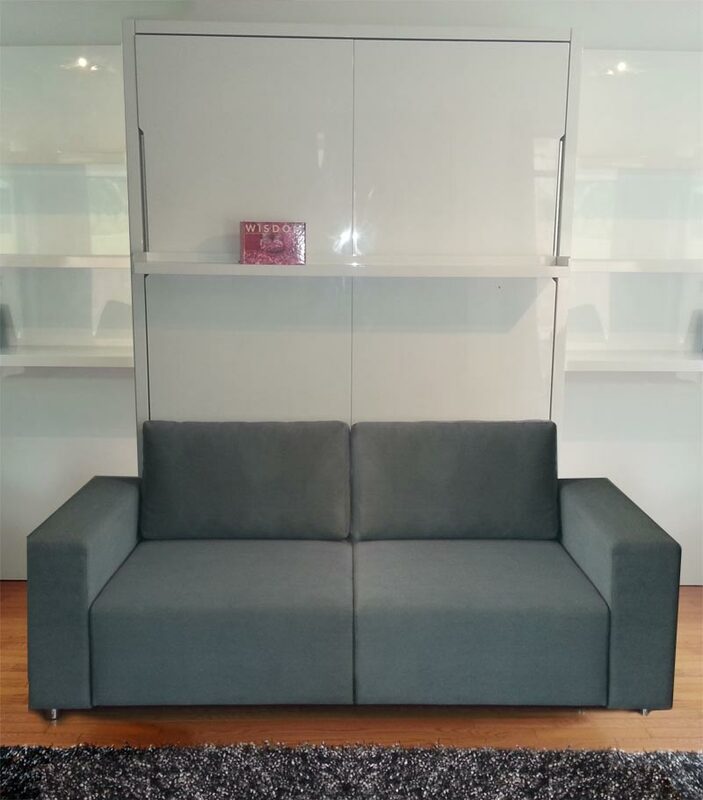 Sofa with storage function – Fabric in textured ash grey. 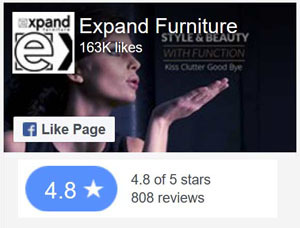 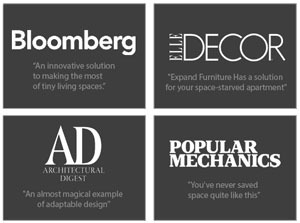 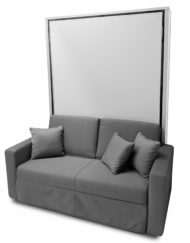 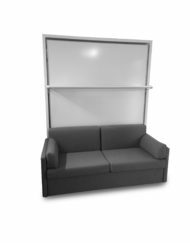 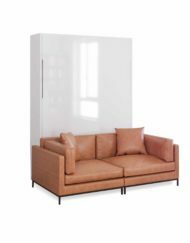 Shop Online For Custom Murphy Bed Sofas.